China's ambitions to become a pioneer in nuclear energy are sailing into troubled waters. 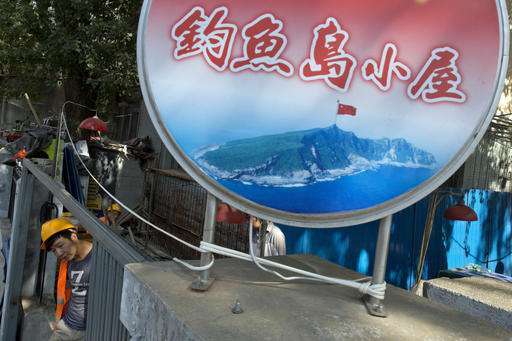 In China's case, the achievement would be tempered by concern its reactors might be sent into harm's way to support oil exploration in the South China Sea, where Beijing faces conflicting territorial claims by neighbors including Vietnam and the Philippines. Chinese news reports say plans call for deploying 20 reactors there, though neither developer has mentioned the area. 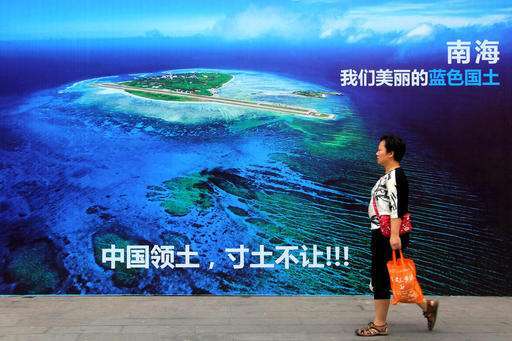 Tensions ratcheted up after a U.N. arbitration panel ruled July 12 that Beijing's claim to most of the sea has no legal basis. 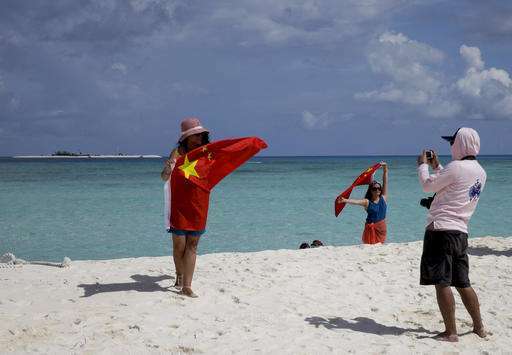 Beijing rejected the decision in a case brought by the Philippines and announced it would hold war games in the area, where its military has built artificial islands. The floating reactor plans reflect Beijing's determination to create profitable technologies in fields from energy to mobile phones and to curb growing reliance on imported oil and gas, which communist leaders see as a security risk. The latest initiatives are led by China General Nuclear Power Group and China National Nuclear Corp. Both have research or consulting agreements with Westinghouse Electric Co. and France's EDF and Areva, but say their floating plants will use homegrown technology. 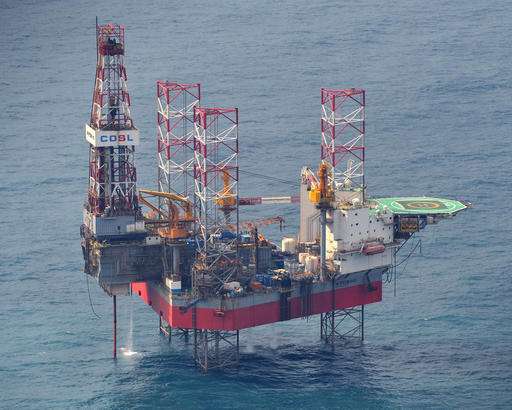 "They are keen to develop that because they have a lot of oil drilling everywhere in the South China Sea and overseas as well," said Luk Bing-lam, an engineering professor at the City University of Hong Kong who has worked with a CGN subsidiary on unrelated projects. "The Chinese strategy is to ensure the energy supply for the country," said Luk. "Oil drilling needs energy, and with that supply, they could speed up operations." Russia's first floating commercial reactor, the Academician Lomonosov, is due to be delivered in 2018, but the project has suffered repeated delays. The Russians have yet to announce a commercial customer. Russia has been "aiming to launch this idea for over two decades by pitching the reactor as a plug-and-play option for fairly remote communities," said Mark Hibbs, an expert on nuclear policy for the Carnegie Endowment for International Peace, in an email. Russia's target market was Indonesia and its far-flung islands, Hibbs said. That prompted concern about control over nuclear materials, leading to a recommendation Russia operate the reactor and take back used fuel. Tensions with Vietnam have flared over Chinese oil and gas exploration near the Vietnamese coast. 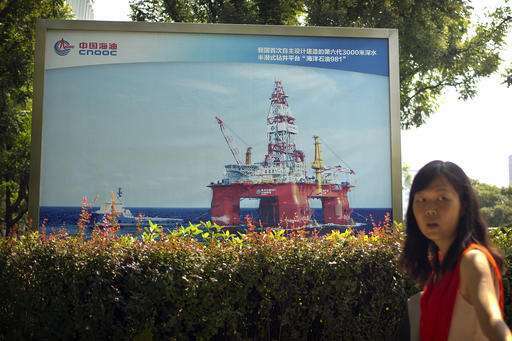 In January, Vietnam complained a Chinese oil company had towed a drilling rig into disputed waters. In 2014, the same rig was parked off Vietnam's central coast for two months, leading to violent anti-Chinese demonstrations and confrontations at sea as Chinese vessels rammed Vietnamese boats to prevent them from approaching the rig. "The security concerns are clear: such reactors would be tempting targets for military or terrorist attacks," Edwin Lyman, a nuclear specialist for the Union of Concerned Scientists in Washington, said in an email. "Maintaining the full contingent of security officers necessary to effectively deter attack would not be feasible." Other perils include stormy seas—the South China Sea is buffeted by powerful seasonal typhoons—and the need to exchange radioactive fuel at distant sites. CGN says its seaborne unit will have "passive safety," or features that function without moving parts or outside power, such as control rods that drop by gravity in an emergency. No commercial reactor operates with such features. "There are questions about how reliable passive safety systems will be in extreme conditions," Lyman said. "If it were seized by terrorists or someone else, that would be a big problem," he said. China's aggressive pursuit of nuclear technology has run afoul of U.S. law enforcement. Westinghouse has no role in the ACPR50's development, according to a company spokeswoman, Courtney Boone. EDF and Areva did not respond to requests for information about their possible role. This will not end until we have contaminated ourselves out of existence. A floating nuclear plant, compact with no exposed blades, will cause less damage to marine life than tidal and those ugly seabird-choppers. Sl-1, TMI II, Chernobyl, Fukushima, . . . what's next? Fukushima, . . . what's next? what's next zero deaths by radiation? to be an eternal source of scary tales and conspiracy theories spread by fearmongers.